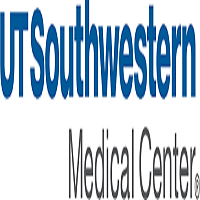 The UT Southwestern Medical Center Department of Anesthesiology and Pain Management is actively seeking an experienced academic obstetric anesthesiologist to serve as the new Division Director of Obstetric Anesthesiology for the Department. The individual would oversee activities at two sites of service: Parkland Health and Hospital System (PHHS) and William P. Clements Jr. University Hospital (Clements). Parkland Hospital’s Obstetrics Department is one of the busiest in the country, with approximately 12,000 deliveries each year and a 32% cesarean rate. Care for some of the highest risk pregnancies and deliveries in Texas occurs in this unit. The unit at Clements is equally as challenging, caring for an array of parturients, many of whom are referred to the medical center due to especially complex medical conditions. This unit manages approximately 2000 deliveries annually. The OBA Division provides dedicated in-house 24/7 coverage at each facility. All anesthesiology residents rotate through this service, and there are two ACGME-approved OB fellows. A MOCA-certified simulation center is used for multi-professional and team training. Upon initial appointment the individual would also assume the title of Chief of Obstetrical Anesthesiology at PHHS. Academic rank will be awarded commensurate with academic credentials and experience. • Division and Department representative at OB-specific operational meetings at both facilities. • Daily clinical service issues. • Faculty manpower and necessary scheduling of resources. • Education of faculty, residents, mid-level providers, and medical students. • Evaluations and interviews for mid-level providers. • Facilitation of clinical and translational research. • Close collaboration with the Department of Obstetrics and Gynecology.